Libby Day was seven when her mother and two sisters were murdered in “The Satan Sacrifice of Kinnakee, Kansas.” As her family lay dying, little Libby fled their tiny farm-house into the freezing January snow. She lost some fingers and toes, but she survived — and famously testified that her fifteen-year-old brother, Ben, was the killer. 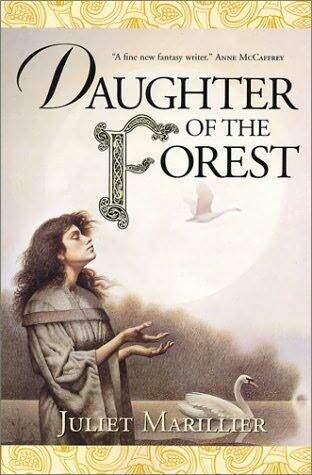 Twenty-five years later, Ben sits in prison, and troubled Libby lives off the dregs of a trust created by well-wishers who’ve long forgotten her. The Kill Club is a macabre secret society obsessed with notorious crimes. When they locate Libby and pump her for details — proof they hope may free Ben — Libby hatches a plan to profit off her tragic history. For a fee, she’ll reconnect with the players from that night and report her finding to the club…and maybe she’ll admit her testimony wasn’t so solid after all. As Libby’s search takes her from shabby Missouri strip clubs to abandoned Oklahoma tourist towns, the narrative flashes back to January 2, 1985. The events of that day are relayed through the eyes of Libby’s doomed family members — including Ben, a loner whose rage over his shiftless father and their failing farm have driven him into a disturbing friendship with the new girl in town. Piece by piece, the unimaginable truth emerges, and Libby finds herself right back where she started — on the run from a killer. If you keep up with The Book Smugglers’ monthly guest dare feature, you’re aware that pretty much everyone completes the book that they’ve agreed to read, no matter how much they don’t like it. Then I came along. I didn’t set out to be the problematic, wishy-washy dare-ee, but this is how it happened. See, I suffer from a lifelong aversion to horror stories. Now don’t get me wrong, I’ve got a bloodthirsty streak like most everyone else: I like violent action flicks, gory war movies, supernatural books with fights to the death. But I do not enjoy being afraid. I find no pleasure in scary movies or books. After each time that I watch a horror movie (which I never fail to regret), I end up terrified of every single unexplained sound, the slightest hint of darkness — even the doorbell (it could be a serial killer disguised as a pizza delivery man, for all I know). The farthest I’ve gotten in a Stephen King book was the first chapter. So when Ana and Thea dared me to read a book in a genre I tend to stay away from, horror was really the only honest answer. And I tried. I really did. I chose The House of Leaves, got to page 50…and couldn’t go any further. I was already starting to turn on all the lights in the house, my imagination running wild the moment the sun went down. Pathetic and embarrassing, but the truth. “I have a meanness inside of me, real as an organ. Slit me at my belly and it might slide out, meaty and dark, drop on the floor so you could stomp on it. It’s the Day blood. Something’s wrong with it. I was never a good little girl, and I got worse after the murders. Little Orphan Libby grew up sullen and boneless, shuffled around a group of lesser relatives — second cousins and great-aunts and friends of friends — stuck in a series of mobile homes or rotting ranch houses all across Kansas. Me going to school in my dead sisters’ hand-me-downs: Shirts with mustardy armpits. Pants with baggy bottoms, comically loose, held on with a raggedy belt cinched to the farthest hole. In class photos my hair was always crooked — barrettes hanging loosely from strands, as if they were airborne objects caught in the tangles — and I always had bulging pockets under my eyes, drunk-landlady eyes. Maybe a grudging curve of the lips where a smile should be. Maybe. With that first page, I knew I’d found my book for the dare. I could tell by reading that excerpt that this story would be an intense psychological thriller, possibly scarier than I’m comfortable with — but I had to know more. The summary makes it seem as though Libby is in for the surprise of her life: that maybe her brother, Ben, wasn’t the murderer after all. But if not Ben — whom she testified as having been the culprit — then who? It is obvious from early on that there is more to the murders than Ben’s quick trial and sentencing suggests. This mass murder was decades in the making; the twisted, horrific result of extreme depravity, small-town life, midwestern farm culture, discrimination against the poor, shoddy policework, and the “Satanic Panic” of the ’80s, as well as the desperate actions of a well-meaning mother and a son that could never quite take control of his problematic life. Whenever I read a book with a mystery element, I find myself second-guessing the clues, wondering if they should be taken at face value or if they are red herrings meant to throw me off-course. With Dark Places, there were many times that I made more or less out of the clues than I should have. There is a complicated history and a lot of players in this mystery, which form a web of possibilities that ultimately left me unsure as to all the details of the crime until the very end. Gillian had me at the edge of my seat the whole way through, keeping me confused, increasingly anxious — even feeling guilty. Why guilty? Well, like Gillian’s plotting, her characters are layered, complex, full of surprises and contradictions. On the surface they are dark, dirty people, the kind you want to write off as bad and worthless. In the case of a few of them, that’s all they are; sinister, greedy, sociopathic characters, the degenerate outliers of society that gave me a serious case of the creeps. But part of the reason this book’s scare factor was so effective for me is because of how I felt towards the Day family. I found myself helpless against empathizing with them, and in some ways, even identifying with them. Particularly frightening was how close I felt to Ben. He’d been a troubled, unpopular kid who overcompensated for his insecurities and inferior reputation by getting involved with the wrong crowd, whose lack of a backbone he more than made up for with anger, resentment, and a slew of bad decisions. That I was able to connect with a character I knew was a criminal left me feeling guilty, and even more so because exactly how severe his crimes were I was never sure of until the end. Those who like and regularly partake in horror stories might not find Dark Places to be as gruesome as I did, nor feel that the characters were both twisted and easy to empathize with. 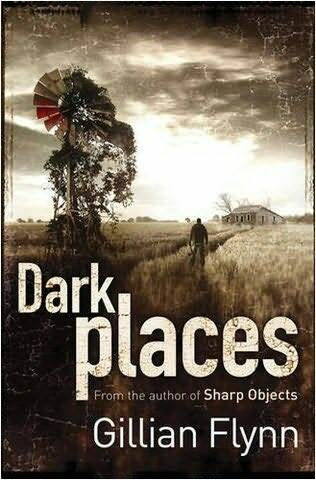 But Dark Places was the perfect read for me; I felt it satisfied my dare with what I found to be a suspenseful, horrific, and yes, quite gruesome tale — without leaving me scared out of my wits. A big thanks to Ana and Thea for (gently) pushing me to expand my reading limits. I ended up enjoying Dark Places and I am honestly excited to read more by Gillian Flynn. We thank YOU Kris, for sticking to the dare! But I do not enjoy being afraid. I find no pleasure in scary movies or books. WOw. Dark Places sounds fantastic -that extract grabbed me! Great review. Now you got me interesting in reading this one. Thanks. Sorry, this is gonna be like another post, but…Wow! I just want to thank you guys for being so supportive. Honestly, I always figure that people think I’m ridiculous when it comes out that I’m a big fraidy cat. I’m really not into the horror genre either, but this one actually sounds really good. I don’t watch horror movies of the slasher type (The Friday the 13th type), but I do like a good psychological horror movie, and this sounds like it could also fall under that genre. I think I’ll keep an out for this. Thanks for the great review, even though I’m a little late to the party!